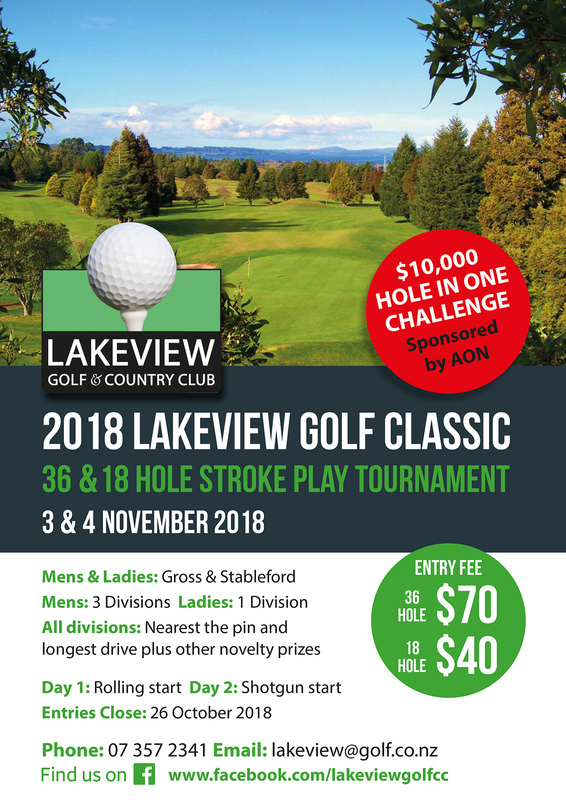 The annual Lakeview Classic Tournament is being held on 3rd and 4th November 2018. Sponsor’s Day is 2nd November. We are excited to add a $10,000 HOLE IN ONE CHALLENGE!! this year, kindly sponsored by AON. So get those entries in and get in a groove with that swing, you could be the one to take home $10,000!